Lykes Landing would never get built today. However four fortunate and lucky residents who reside at 19969 Beach Read get to call this spot in paradise, home. 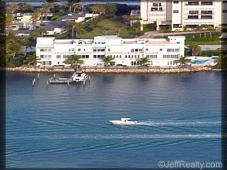 Lykes Landing Jupiter Island townhouses are just 4 residential units built on the Intracoastal. 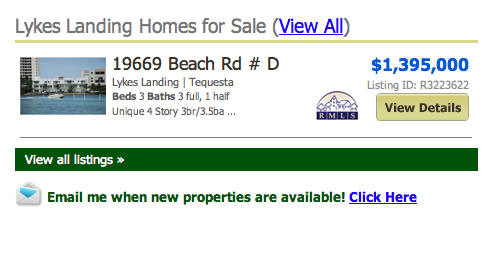 Lykes Landing Townhomes online now. All listings & Sold Statistics! Constructed in 1994, these homes have fabulous views of the Intracoastal and Ocean. The development has its own private dock, elevator, roof top terrace, and community pool. Units themselves are 3 bedroom floor plans with between 3000-3600 square feet with lots of marble, granite, crown molding and luxury appointments. Play on Intracoastal and enjoy the best sunsets and views of the Jupiter on the roof top terrace. Across the street is the Atlantic Ocean. Go for a dip, snorkel in the limestone rock formations seeing incredible tropical fish, eagle rays, turtles and manatees or just lay out on the beach. Incredible fishing for snook can be done at the Jupiter Island Bridge. Tequesta Florida is just a short drive to US One giving access to fabulous eateries, shopping and proximity to Palm Beach International Airport and downtown Palm Beach. Jupiter Island is one of the wealthiest zip codes in the United States. This exclusive area is home to Bill Gates, Celine Dion, Tiger Woods and a who’s who of wealth and fame in the United States. 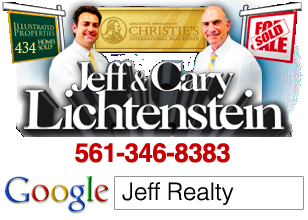 Posted in Jupiter Island condos, Uncategorized on September 29, 2011 at 2:43 pm.